Corner spaces are often given or occupied by the heads, supervisors and other high ranked officials of the company. 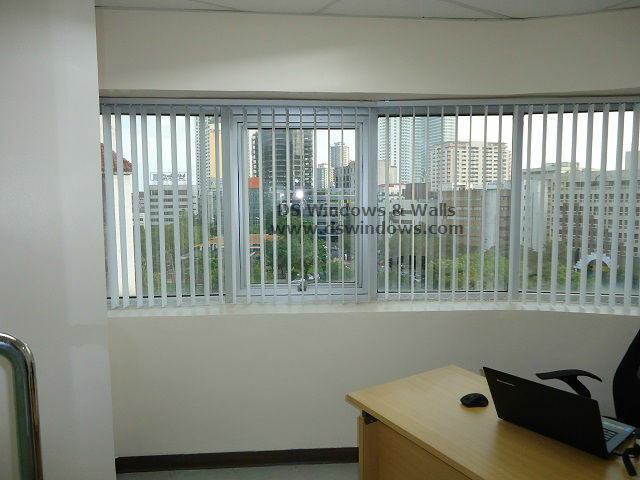 A corner office space is suitable for activities that are confidential. It is also a good workplace that requires loads of concentration; it is also a place where a small or private meeting is held. 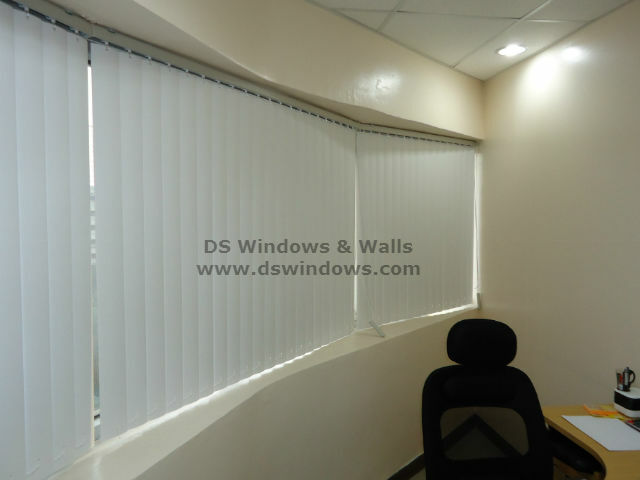 Therefore, it is very important that the window blinds chosen for a corner office is suitable for its occupant. Most of the corner offices consist of window attached on two exterior walls. This is beneficial to the person that occupies the office because it can provide natural light. It also helps them to lessen their stress because they can enjoy the beautiful spots outside. One of our customers who works in Legaspi Village, Makati City wanted to make his workspace into a polished, eye catching and very functional working space. Since his work space is located in a corner area of the room, a curved or L – shaped desks are ideal for this type of space because it maximized the available space. 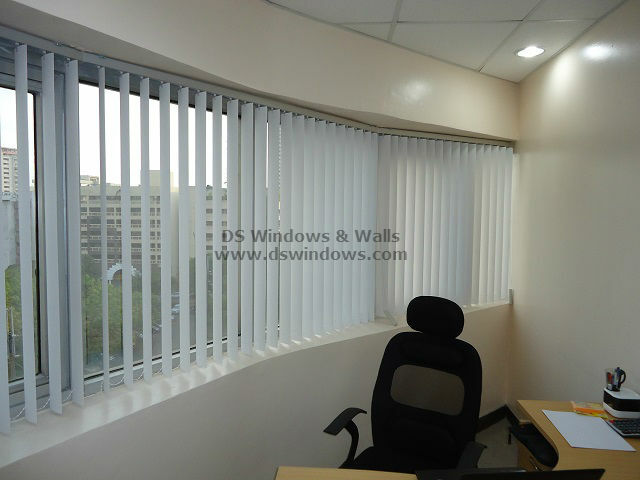 In order to enhance and create an inspiring working space, our client bought PVC vertical blinds. They also selected bright white color matched with their white wall and ceiling to achieve the soothing theme for his office. PVC vertical blinds are one of the most durable and cost effective blinds in the market today. Compared to fabric, PVC vertical blinds are not prone to dust and pet hair so it is child friendly at the same time. It is very effective in light filtering and provides superior privacy. Designs are available from smooth to embossed pattern with wide ranges of color choices. For more information about our blinds you can visit our shop located at 4th level Waltermart, Makati City, 3rd level Robinson Metro East, Pasig City and 2nd level Pacific Mall, Lucena City. You can also browse our web store www.angryblinds.com.ph for online ordering and to check our different samples of our products. You can reach through our contact number at (02) 403-3262 / (02) 668-9668 / (02) 893-1373 and 0916-311-3909.